+ Eugène Atget was a French photographer noted for his determination to document all of the then existing architecture and street scenes of Paris before their inevitable disappearance due to modernization. + Fern Berman studied photography at the Art Institute of Boston and the New York School of Visual Art. Her abstract images of place focus on the color and patterns found in her neighborhood. Her images luxuriate in color and texture; their density and saturation achieved by printing on watercolor paper. + Christian Buhl is a freelance photographer based in California who has traveled extensively. During these sojourns, he captured the essence of those places, their beauty, traditions and environment by photographing public gardens and sculptures. + William Christenberry is a photographer, painter, and sculptor who works with personal and mythical themes growing out of his childhood experiences in Hale County, Alabama. + Lucien Clergue was a French photographer who worked primarily in the south of France where he befriended Pablo Picasso, who became a life-long friend. His principal subject was the Camargue, its natural beauty and its inhabitants, particularly the gypsies. + Dan Cohen is a Florida resident who journeys to Maine every summer. He is an avid amateur photographer who works in black and white; a medium he feels is the most compelling for him. It best permits him to capture the unique splendor of Maine’s summers. Cohen is always on the lookout for what E.B. White called “the presence of wonder” and that can be found in his compelling images. + James Croak is a well-respected sculptor whose work evolved with time into a dirt sculpture technique, combining dirt and resin to create a unique material for his work. What is not well known is his photography work of nature at night. This is the first exhibition of that body of work. + Renato D’Agostin was born and raised in Venice, Italy. Dislocating subjects from their reality, he depicts his perception of the space around him, the relationship between city architecture and its people and their interaction. + Robert Frank is a Swiss-born American photographer and filmmaker. His 1958 book, The Americans, earned him high praise for his outside view of this place we call America. His images, taken during a cross-country car trip with his family, show what photography can say and how it says it, making The Americans the most the most influential photography book of the Twentieth Century. + Ralph Gibson ranks as one of the most influential American photographers working today. His images, often combined, are ripe with intriguing juxtapositioned photographic fragments that build subjective meaning through their coupling. + April Gornik is America’s premier landscape painter. Like many painters, she uses her photographs as essential tools for her art. Presented here are photographs that served as aids for her painting. It is readily evident that her artistry includes not only painting but photography, too. + Alen MacWeeney was born in Dublin in 1939, and began his photography career at age 20 as an assistant to Richard Avedon. 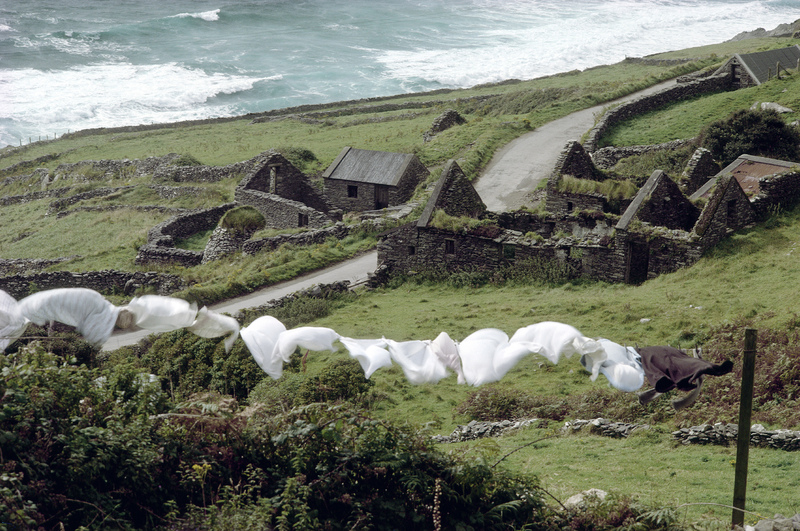 After his apprenticeship, he moved back to Ireland where he created some of the most evocative images of the place of his birth. + Caleb Cain Marcus is a New York City-based photographer born at the base of a 14,000 foot peak in Colorado. His work defines and describes the physicality of space among living things by using color and contrast to construct space that can be felt, experienced and observed. The resulting images establish a sense of wonder and re-enchantment. + Tommy Morrison is an accomplished photographer whose work in Burma, Cuba and Ecuador has received widespread praise and admiration. His images often include people to better create a complete tableau of his subject matter. + Susan Paulsen lives and works in New York. One of her most evocative bodies of work chronicles a small town in in Arkansas. Her photographs form a vivid picture of place. For her, it is a homing place – part of her family lived there and they are all driven to return from time to time, for in a real sense it is home to them. + Walter Rosenblum was born in 1919. A student of Paul Strand and Lewis Hine, he photographed people and events up to World War II. His photographic portrayal of Pitt Street, New York City, in the late 1930s presents an extraordinary insight into the mores or urban life in that period. + Michal Royner is an Israeli artist working in video, sculpture, drawing and photography. Her images and videos create an intriguing abstract of place. The public is invited to a FREE opening night reception at the Palm Beach Photographic Centre on March 24 from 6 to 8 pm.